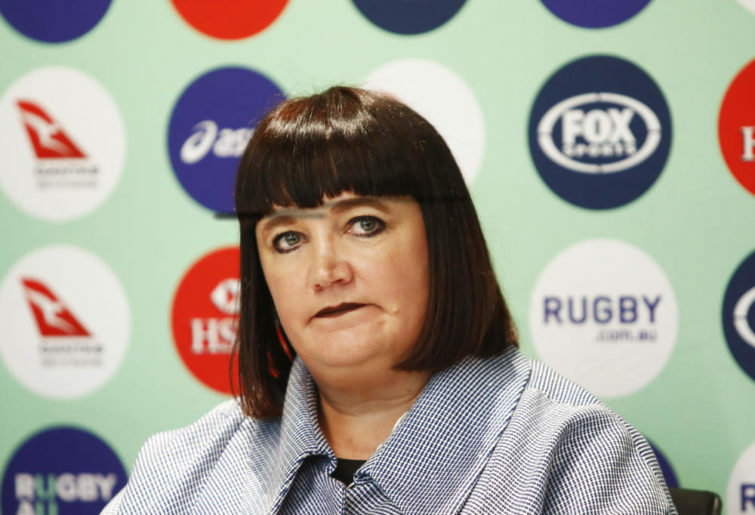 For what it’s worth – and I’ve deliberately gone back to review when it was originally said – I don’t actually believe that Rugby Australia CEO Raelene Castle was saying that three Spring Tour wins was the defined benchmark to which the Wallabies, and specifically Michael Cheika, would be held. Castle was asked directly before the Tour what a pass mark would be, but her answer danced around it. “Oh, they are determined to go there and win all three games,” she replied. “I mean, that’s the start point, that’s the pass mark from where they are, from their perspective. Castle didn’t, in my humble opinion, set a pass mark for Cheika and the Wallabies, but rather just repeated their own internal goals. She certainly said “three wins”; that’s not in doubt. But rather than saying it was a requirement set for Cheika and the squad, Castle’s wording was that three wins was the team’s own target for the tour. What’s the difference, I hear you thinking? Well, if RA actually set three wins as a performance standard that Cheika agreed to, then that’s a mark that he can be held to. But if it’s just a ‘nice to have’ target that Cheika and team set for themselves, then it’s probably harder to penalise someone for not achieving an ambition. I still want to be a fireman when I grow up, but should I be made an example of when I inevitably fall short? Interestingly, all the reporting has been along the lines of ‘Castle sets pass mark’, but curiously, neither Castle or Rugby Australia attempted to correct this narrative as it was being told. The only way now that we’ll know for sure is if anything happens at the conclusion of the tour. And who’s holding their breath for that, with a 3-and-8 record in 2018, and ten wins from the last 25 Tests? Which brings me to the suddenly very curious match-up this weekend against Italy in Padua early Sunday morning, AEDT. It looms in my mind, at least, as a classic lose-lose game for Cheika and the Wallabies. Italy have never beaten Australia in 17 previous matches going back to 1983, including nine straight wins on Italian soil. How many times have you seen confident statements like this fall apart? Now, I’m not going to go as far as saying the Wallabies will definitely lose; but such is the chronic state of affairs at the moment that nothing will surprise me anymore. 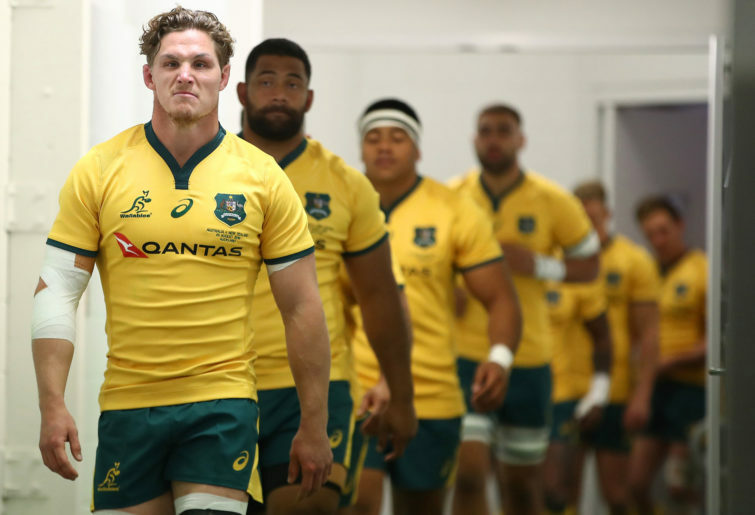 The issue for the Wallabies – well, one issue for the Wallabies – this weekend is that no winning margin can possibly be good enough. Win by fifty, and the commentary will correctly point out that Italy have lost 36 of the 45 Tests they’ve played in the time Cheika has been at the helm of the Wallabies, including losses to Toga, Fiji, and Japan. They’re one from 20 in Six Nations contests over the same period. Win by just a try in either a low or a high-scoring contest, and the criticism will practically write itself. There are so many things that the Wallabies need to do this weekend. They have to win, obviously; but they also need to play well, play accurately, play at the advantage line and not miles behind it, be precise at the set piece and especially at the breakdown, and for god’s sake, they need to take all kickable penalties, even if just in the first half while building a lead. Yet even listing the obvious as I just have, there next to no certainty that even just a majority of these things will happen. So poorly are the Wallabies playing at the moment that it’s hard to have any confidence that what seems obvious from the couch will play out at the Stadio Euganeo. So here comes a conclusion from left field: I’m genuinely looking forward to watching this Test, purely from the standpoint that I have no idea what to expect. 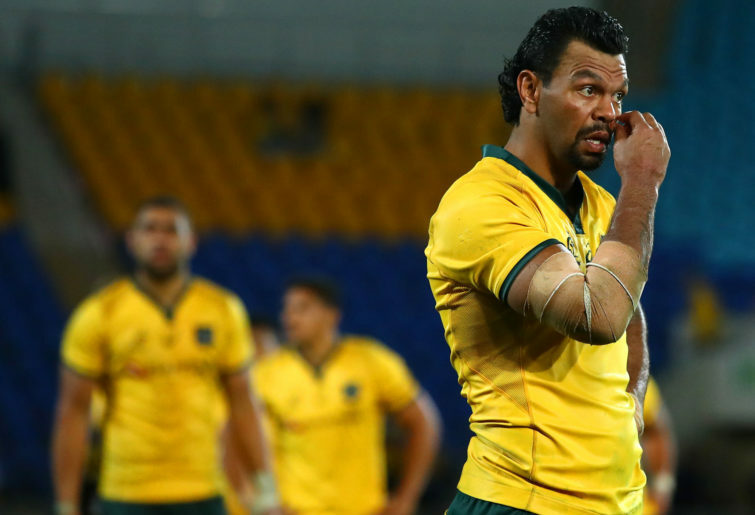 The Wallabies could play the perfect game of rugby and win by fifty, which would be welcome. They could play even worse than they did last week in Cardiff, making not just the same poor decisions, but even poorer ones again, and that would be intriguing in itself. They could lose. And it’s scary to think how shockingly not shocking that would be. All this amounts to a really curious contest. And unfortunately, a contest that even if the Wallabies win, they really won’t have achieved anything at all.